Theresa serves as Dr. Rob’s assistant. She is a trained LPN and worked as a Medical Surgical Nurse and an OB Nurse in Florida for 9 years. After moving to Cincinnati, Theresa switched careers and joined the world of UPS. Theresa’s expertise at UPS was timely package delivery – so she understands the value of keeping things running on time. Theresa was first a patient of Dr. Rob’s after being involved in a serious car accident and then decided to switched back to the medical field after improving her own medical condition through Chiropractic Care. You can see her nursing experience in action as she cares for each patient and their therapeutic needs. Theresa is the welcome face upon entering the office and the friendly voice on the phone. She is always available for patient questions and concerns and truly wants to help. She has been a dedicated employee at the clinic for 15 years. She is compassionate and wants each patient to feel and be well. Yvonne serves as the clinic patient advocate. She knows and understands that weight and weight loss are emotional topics and spends time addressing the psychological as well as the physical aspects for each and every patient. 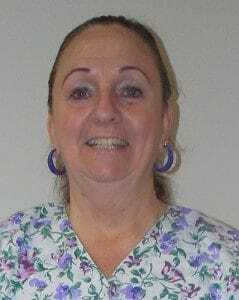 Prior to working at the clinic, Yvonne enjoyed a 16 year career at Cincinnati Children’s Hospital. Before that, she spent years working in Nursing Homes and attended UC for a Degree in Nursing. She has her Bachelor’s Degree in Biomedical Sciences and a minor in Psychology, her Master’s Degree in Healthcare Administration, and is working on completing her Doctoral Degree in Natural Medicine and Energy Medicine. Yvonne’s role balances patient care with emotion. She herself has had four children, so has experienced first-hand the difficulties with weight fluctuations. She believes in one-on-one attention for each patient, as every person is different, and their needs for weight loss and weight management are different. Yvonne provides the needed support for each patient to succeed in reaching their weight loss goals.